Better late than never on this post.. Star Eye’s official video for her new Disappear track. Fresh mix from The Captain thrown together for Nicky Digital‘s website. Genre’s run all over the map on this one. Really a great example of the scene right now. Benga in NYC March 28th! Benga benge benga! 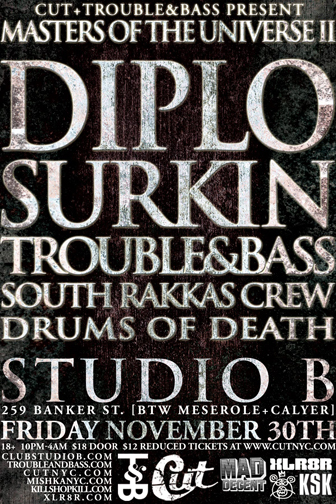 Dubstep awesomeness drop’s on NYC Friday the 28th at love. Seriously awesome that the TnB guys can nail down a European Dubstep heavyweight like this. If you go to one even this Spring make it this! 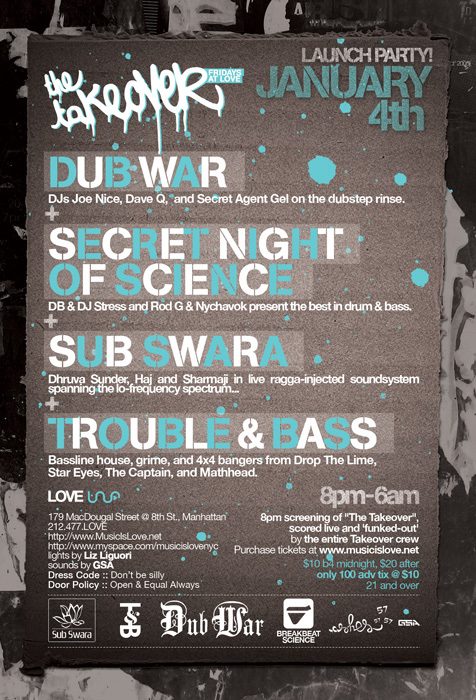 Dub War, Secret Night of Science, Sub Swara, and The Trouble and Bass guys. Prepare for a BASSSSSSS overload!! I know I will see you at this. Come out, dance, sweat and relive the amazingness that is a year of TnB parties.